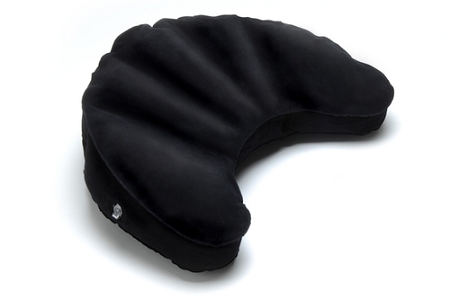 Store > Meditation Accessories > Mobile Meditator Crescent Moon Inflatable Cushion. In multiple colors. 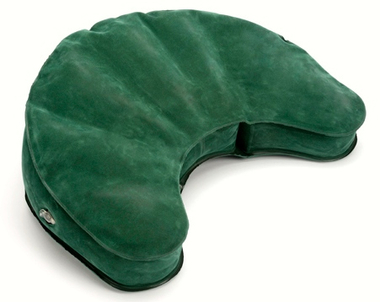 This sturdy crescent moon-shaped inflatable cushion has three air chambers, can adjust height in front and back and is 5.5" (14 cm) tall at the rear. It packs into it's own travel case: 8.5 x 9.5 x 1.5 inches. Currently available in multiple colors. Select the color in the dropdown menu under the price. *Full replacement warranty for 2 years. Please contact us if you wish to claim a replacement during the warranty period. We will confirm your eligibility and then put you in touch with our supplier who will send you a replacement. 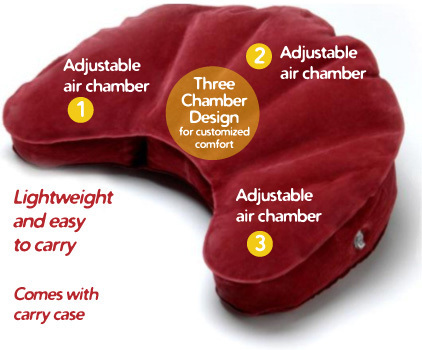 Mobile Meditator cushions can sometimes leak due to manufacturing defects. 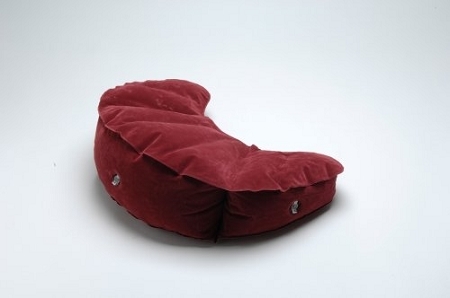 If that is the case with your purchase, please return the cushion to Pariyatti and we can send out a replacement. 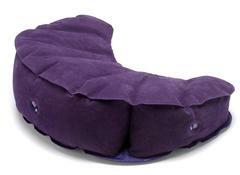 Customer pays for return shipping to Pariyatti; Pariyatti provides the replacement cushion and pays for the new shipping charges.